We have a busy week ahead as we ready ourselves for SLC meetings and testing. Please read ahead for testing details. Grade 9 – Physical Fitness Test: Please click here for all the info! Grade 10 – Life Science California Standards Test: Click here for example questions. The computer-based SBAC exam is new this year and is simply a test of the test. 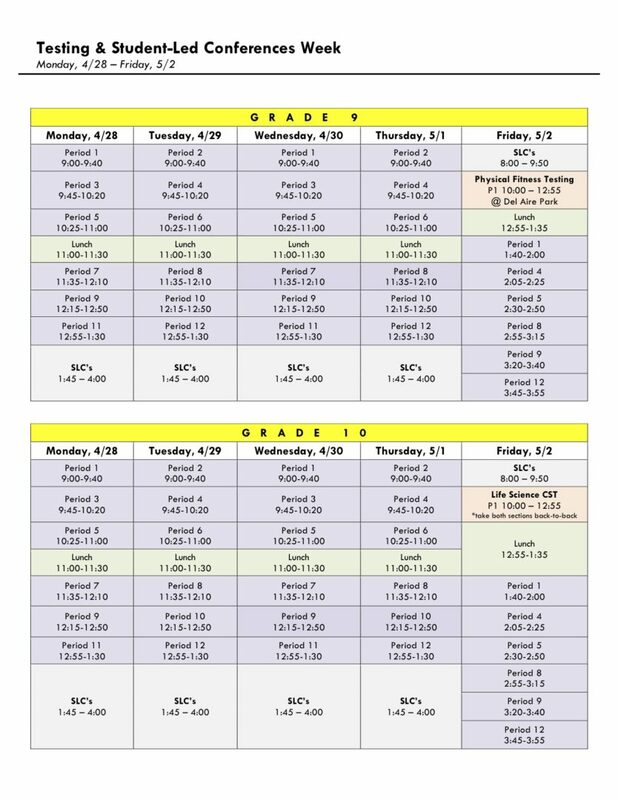 Our 11th grade students will take the SBAC on 2 separate days this week, but will not receive scores. They will be tested on ELA and Math content. The EAP ELA and Math exams will run on the other 2 days. For more information about the EAP, please visit their website. 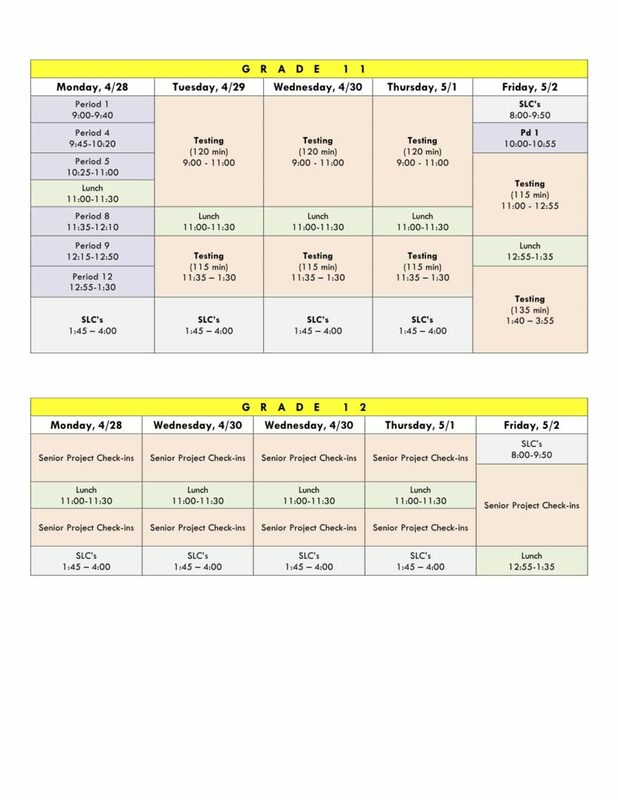 Please review the schedules below for more details about the week. Contact Megan Anderson with any questions at manderson@davincischools.org.